Green leafy vegetables; how to get the most from these important nutrient rich foods.Green leafy vegetables; how to get the most from these important nutrient rich foods. 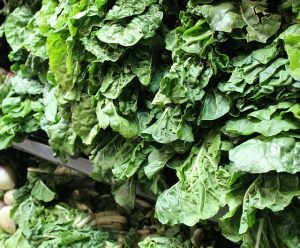 Green leafy vegetables; how to get the most from these important nutrient rich foods courtesy of Consumer Reports. Green leafy vegetables; how to get the most from these important nutrient rich foods. Do you get enough green leafy vegetables in your diet? Greens are important because they contain fiber, nutrients and minerals that we need to keep our bodies healthy. Dark leafy greens are especially important because they feed the gut and make sure the good bacteria in our bodies stay healthy and help us bring the nutrients in, while keeping inflammation down, which is the major cause of most diseases. Not everyone is a salad person, and there are other ways to take in greens than in a salad. Other greens actually unlock flavor and nutrients when they are cooked, instead of when they are raw. Greens can be used as a low carb taco shell or can hold food as is regularly done with Korean BBQ. With a little imagination, you can eat healthier and make it fun as well as delicious. After you read this article, you no doubt will want to visit your local farmers market. Now that spring is here, you’re likely to start seeing more leafy greens—including lettuce, spinach, kale, and arugula—in your grocery store or at your local farmers market. Greens are the foundation of many healthy, delicious salads, and a salad is an easy, nutritious way to use these veggies. But not everyone is a salad person—or maybe you are, but by midsummer you’re burnt out even on the freshest concoctions. Fortunately, you have plenty of options for eating leafy greens other than in a salad.